The Michael Crichton penned 1973 science fiction movie Westworld is getting an HBO TV series remake next year. Now written by Jonathan Nolan (writer of the Dark Knight, The Dark Knight Rises, Interstellar and brother of Christoper Nolan) and produced by JJ Abrams, the new show reimagines the old concept of an amusement park gone wrong in exciting and fresh ways. Described as “a dark odyssey about the dawn of artificial consciousness and the future of sin” Westworld follows the original movie’s outline, but goes a lot deeper into the underbelly and morality of artificial intelligence. 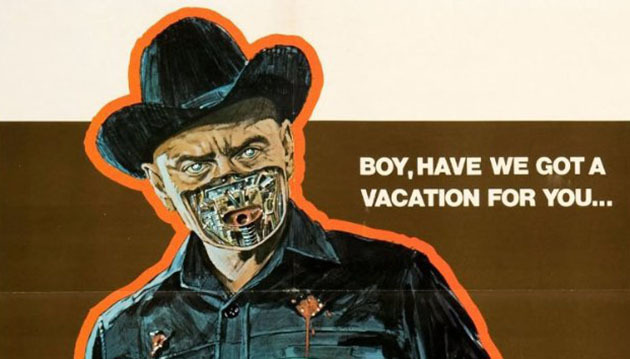 The ’73 movie is still a great creepy sc-fi film in which the life like robots of a wild west themed park go crazy and start attacking visitors, but the show will also show the artificial beings as victims of their cruel creators. I am very excited about this. 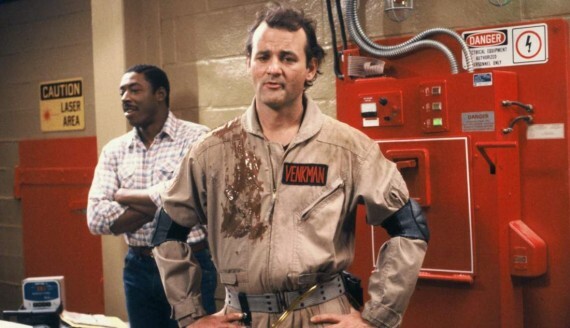 The Hollywood Reporter confirmed last week that original Ghostbuster Bill Murray is indeed filming a part for the new genderswapped Ghostbusters film by Paul Feig. The length of the role, be it a small cameo or maybe a supporting role, is unclear. Fellow Ghostbuster and franchise creator Dan Aykroyd will return for a cameo as well. With Bill Murray being the sole reason that we did not get a proper Ghostbusters 3 before Harold Ramis’ death, I am not very happy about this. Murray seems to be very particular about the roles he takes and has made no bones about feeling that the Ghostbusters franchise is somewhat beneath him, so him returning in a reboot the fans dislike immensely seems to be almost a further punchline from him against the fanbase. Yeah, this kinda ticks me off a bit. With only receiving a 9% fresh rating at the review aggregator Rotten Tomatoes, the Fantastic Four reboot seems to be off to a very bad start. The first US weekend box office seems to be influenced by that very negative press as well, as the movie only managed to make 26.2 million USD, which is the lowest opening for a superhero franchise since the last Ghostrider movie. Not only that but Fox is also pulling back the ideas of a crossover with the X-Men, even when Bryan Singer just talked about it being worked on a few weeks ago. Director Josh Trank (Chronicle) tweeted about his disappointment in the movie the day after the review embargo lifted. I haven’t seen the film yet (checked out the amazing Mission Impossible Rouge Nation instead), but will probably still go to see it later this week, because I really liked the first trailers and wanna see for myself what’s up. I mean, the movie has a worse rating than “Batman & Robin”… something has to be wrong here. 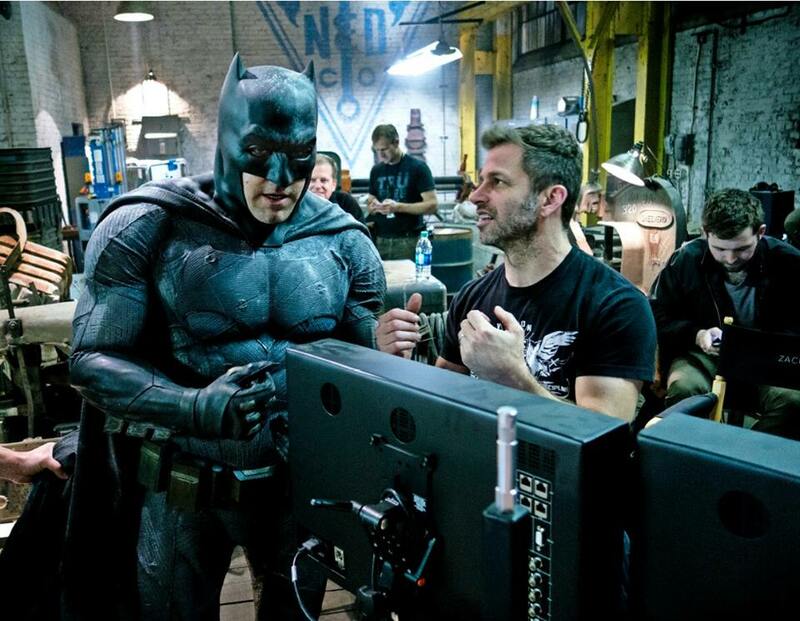 Den of Geek runs with the unconfirmed rumor that Ben Affleck has gotten himself a golden deal with WB to make his own Batman trilogy. After a screening of BvS for the WB’s upper management, that apparently received standing ovations, the producers of DC Films decided to lock down Ben for good. He is supposed to star and direct in a Batman trilogy, which will be the center piece of the DC Film slate. This is still unconfirmed, but two of Ben’s non-Batman movies have been pushed back for a few months a day later, so maybe there is something to this rumor. If he really is that good in the role, we can only hope its true. He is a terrific director and would be a great follow up to Nolan, with a similar cinematic, hand made style. Very excited about this. Great to see he is having fun as the clown prince of crime. I hope he and Batfleck face each other soon. 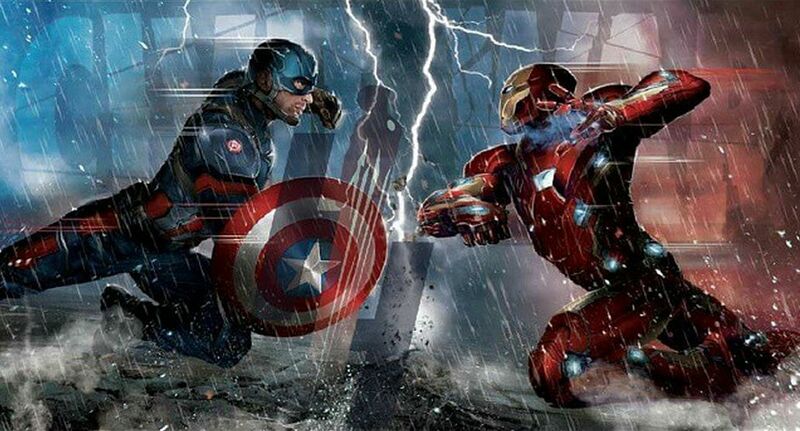 Captain America will be joined by Falcon, Ant-Man, Hawkeye, Scarlet Witch and the Winter Soldier. On Iron Man’s side we will see Vision, Spider-man, Warmachine and Black Widow. Everyone who saw Ant-Man and stayed until after the credits saw a first clip from Civil War which already confirms Winter Soldier, Ant-Man and Falcon for Cap’s side, so maybe this will turn out true. I am especially excited to see Black Widow going against her close friends Hawkeye and Cap, but maybe she is playing Tony for a double cross later in the movie, who knows? I am either way very excited to find out and see them all clash next year! Man, can we just get to 2016 already, please? 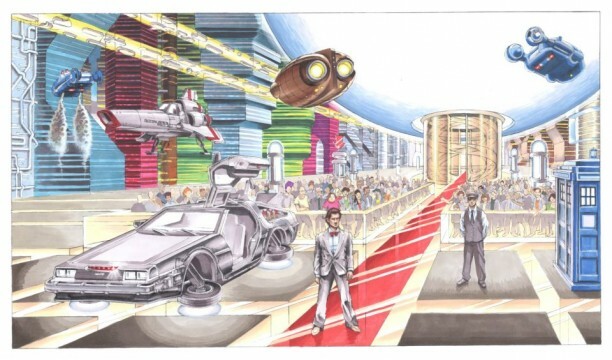 The amazing, pop culture, videogame sci-fi dystopia novel Ready Player One gets the hollywood treatment by Steven Spielberg. We already know that. What we didn’t know was when we could feast our eyes on that movie… but now we know that as well: December 15th 2017! If you haven’t checked out the book yet, you really should. Its not easy to explain, but if you are into videogames, sci-fi and pop culture it truly is a must read. After the last reboot did not really ignite the franchise fires again, New Line Cinema is going to give our creepy pal Freddy another reboot. 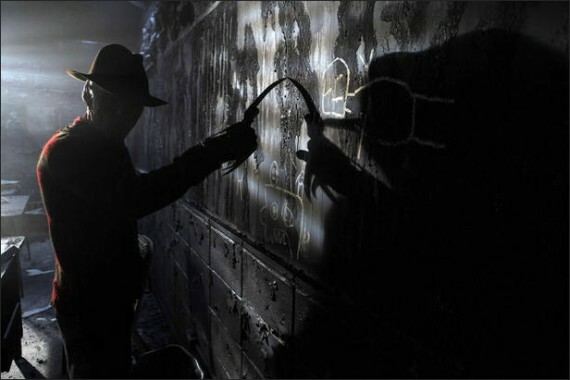 The last movie already rebooted the former Robert Englund led franchise, with a darker version of Freddy more in tune with the first original movie, played by Jackie Earle Hayley (Rorschach from Watchmen). 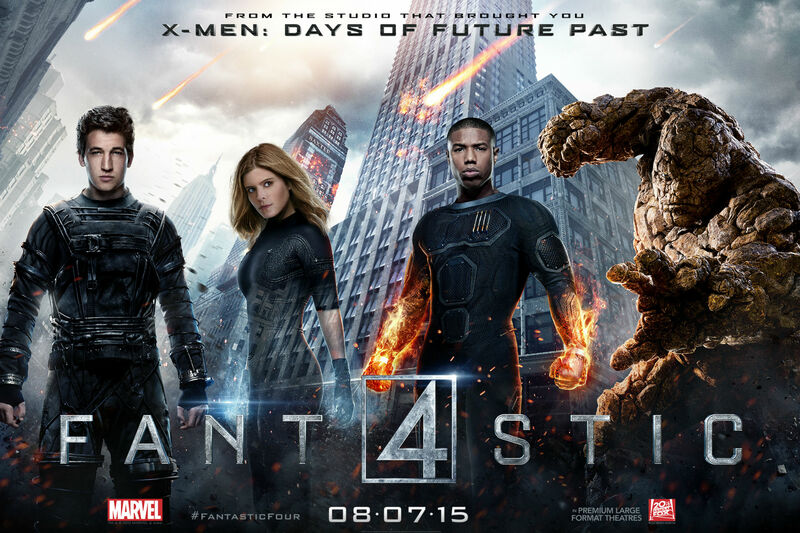 While I liked the reboot, it wasn’t as good as it could/should have been, but I don’t see the need to reboot again. Just make a new movie with the same Freddy from 2010 and try to do something fresh with it!